Area: 68 sq km. 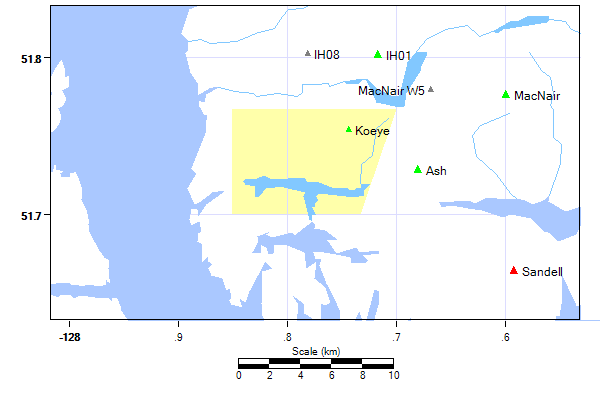 Location: A small hill range in the Namu area, south of the Koeye River and north of Elizabeth Lake. The Namu Range is immediately north across the Koeye.